Pull your dipstick. Rub the oil between your ﬁngers. Run an analysis. Any test proves this bypass oil ﬁlter is the best on the planet. The FS-2500 captures 98% of engine-wearing particles down to 1 micron. Oil stays cleaner longer. Engine wear stops cold. FS-2500 displaces just 1.5 quarts of oil. Users report going from 12,000 to 50,000 miles between drains or five hundred hours. Particles less than 10 microns cause the biggest wear on engines. 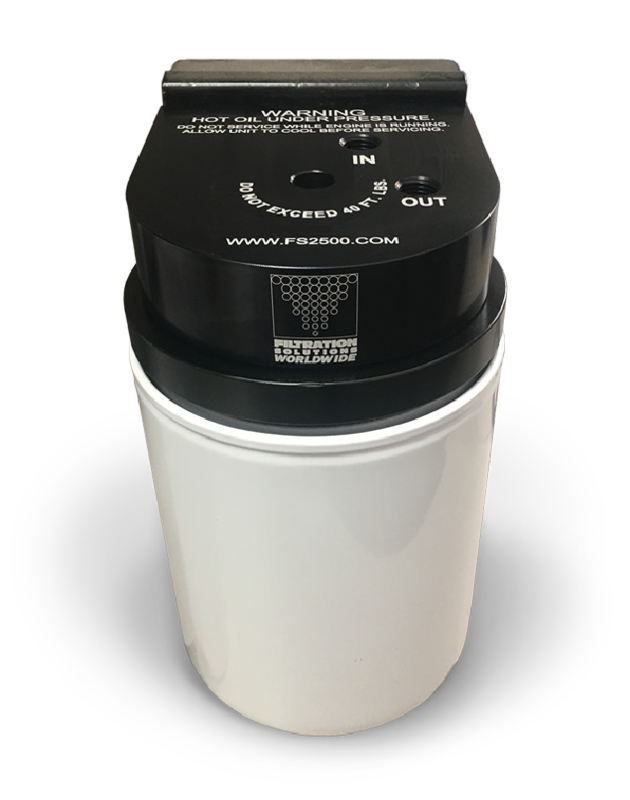 So why are conventional ﬁlters designed to only catch 25 – 40 micron particles?